Possible Winter and Holiday Shipping Delays Please understand that you may experience shipping delays during the winter months due to weather conditions and/or an increase in order volume, due to the holiday season. Please contact us via email at info@primalblueprint.com or call (888)774-6259 Ext. 4110 and a customer service rep will be happy to help check on the status of your order. Q: Why did you include oil of oregano? A: We chose oil of oregano because it’s one of Mark’s favorite ingredients. And with good reason! It has tons of medicinal and antioxidant properties. Q: How is the Red Wine Vinegar Sourced? vinegar can be strained or bottled. Q: I have an allergy, are the dressings manufactured in a facility that contains dairy, eggs, or nuts? A: Yes, our dressings are manufactured in a shared facility and on a shared line with other products that contain the 8 major allergens, however, our products are on a set schedule, and are run in order from Vinaigrette to Creamy dressings. They do clean equipment and do allergen testing in-between runs. If anything is detected then it is cleaned down again. Q: I see your mayo is Kosher, are your dressings Kosher too? A: Yes, our mayo is Kosher certified. With regards to our other products such as the dressings, we do follow all Kosher guidelines however they are not Kosher certified. 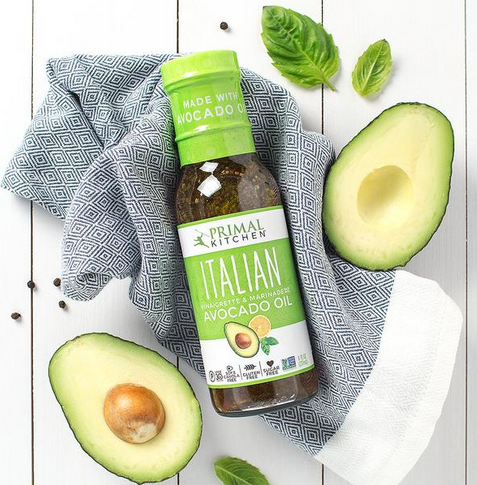 Q: What is the shelf life of your Italian Vinaigrette? A: 9 months unopened. Please refrigerate after opening and use within 60 days for maximum freshness.